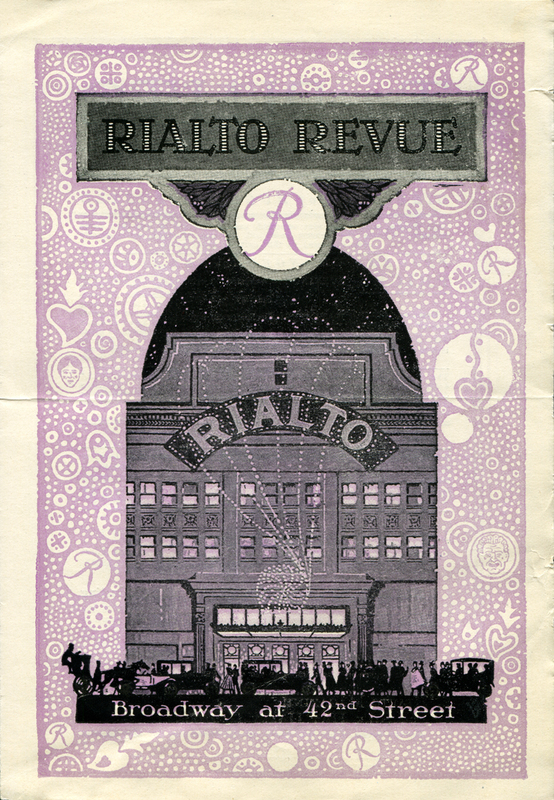 SCVHistory.com | William S. Hart | Rialto Theatre Program: Broadway Premiere of 'The Money Corral' 4-20-1919. 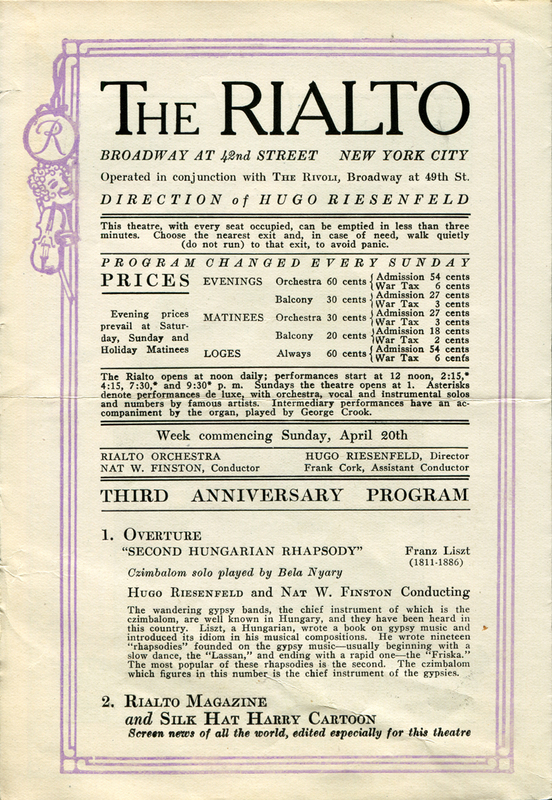 Rialto Theatre program for the Broadway premiere of "The Money Corral," April 20, 1919. 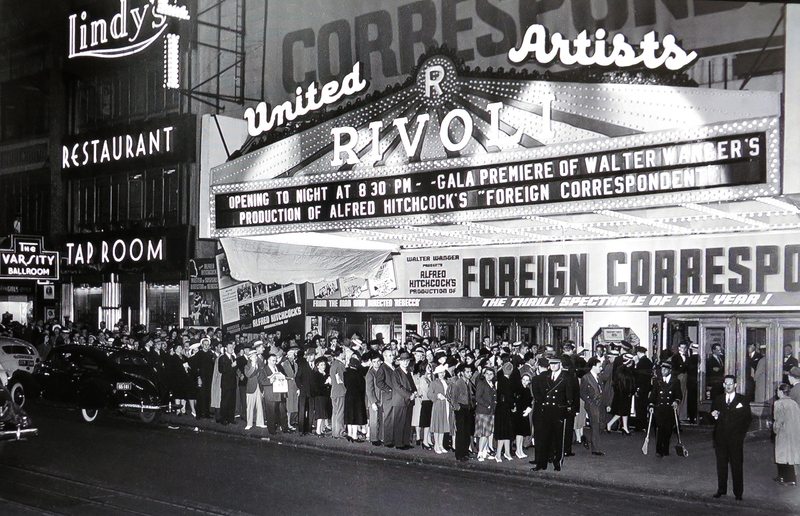 An Artcraft picture, "The Money Corral" was produced by its star, William S. Hart, who also wrote the story. 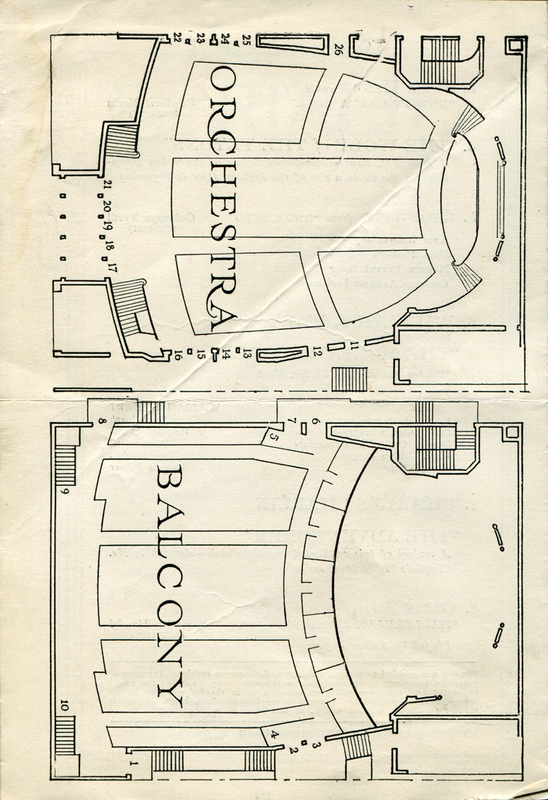 Screenplay (scenario) by Lambert Hillyer. 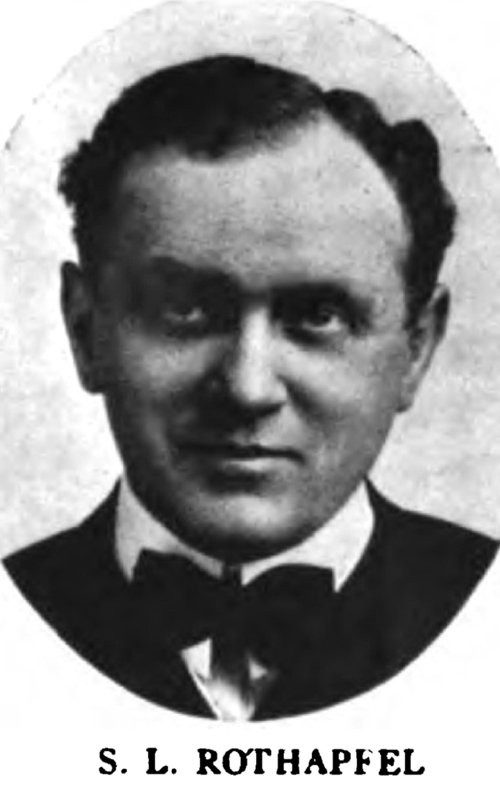 Hart portrays a cowboy who wins a shooting contest at a rodeo and is hired to guard a railroad president's money. The railroad president's daughter is played by Jane Novak, with whom Hart is believed to have had an off-screen romance. Rounding out the cast are Herschel Mayall, Winter Hall, Rhea Mitchell and Patricia Palmer. 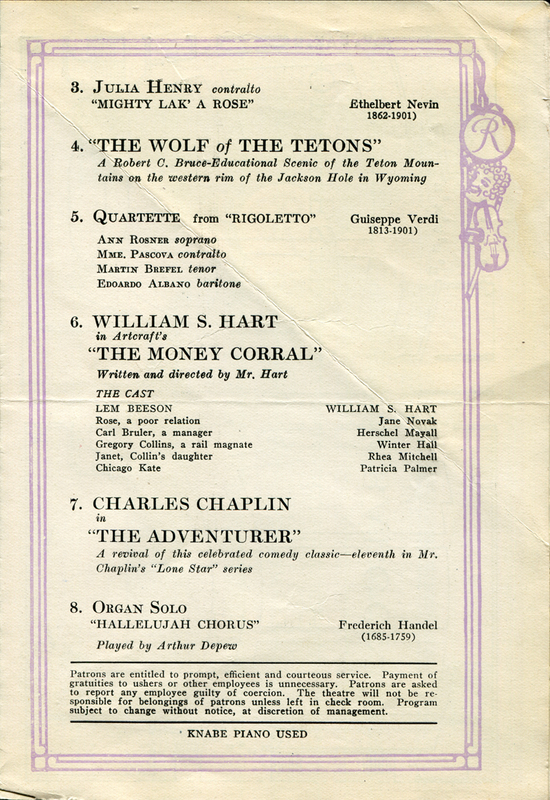 It's the third anniversary performance for the Rialto Theatre and includes, in addition to orchestral and organ numbers and singing, an educational or travel short ("The Wolf of the Tetons"), a cartoon short and an episode in a comedic series ("Lone Star") starring Charlie Chaplin.